Along with campaigns that defend NSA surveillance and other moves against online privacy come the politicians who back them up. And VPNs come under fire as one result because of their popular applications as online privacy tools. 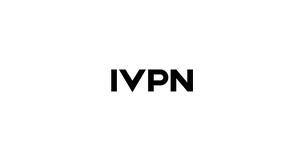 iVPN, one leading VPN service, has come back with a list of these politicians. If you want to know what is going on in the con camp of the fight for online privacy, follow these guys. Rogers has been on the iVPN watchlist since 2012 when he led the march for CISPA. In 2013, he openly attacked Snowden after documents on NSA spying activities were leaked to the Press. This Michiganrepresentative’s less than professional comments about Snowden and others against NSA spying are not amusing. He is of the opinion that the French, for instance, should celebrate the fact that the NSA is spying on them. Smith also has been marked since 2012 when he headed the FISA move to increase the NSA’s surveillance program started by Bush. He was also behind SOPA and attempts to increase the reach of the DCMA. He now fully supports the NSA spy program along with a few other Republicans representing Texas. He voted that the NSA’s powers should not be regulated or reduced. Al Franken is harder to understand. This junior Senator from Minnesota was at first in favor of PIPA and SOPA. He changed his mind later, and also was in favor of a more democratic substitute for CISPA. He has also made several statements in support of online privacy. But after the Snowden scandal, he is back in the pro-NSA camp. And after getting a financial infusion from the entertainment industry, the authenticity of his support for online privacy is suspect. And scariest of all, he has power over data collection practices as a member of the Subcommittee on Privacy, Technology and the Law. Ruppersberger was also at the forefront of the move for CISPA. As a representative of Maryland’s 2nd congressional district, he covers NSA headquarters. He is also on the House Intelligence Committee. He publically labeled Snowden a traitor for revealing the NSA spying activities while at the same time guarantees that the law will not be broken while he is in office. Feinstein has been very firm about her stance in support of the NSA spying program from the angle that it is vital in the fight against terrorism. But then when the secrets came out, she conceded that the range and depth of the activities was not right. But her proposal for NSA reforms was not very encouraging. It did not put a stopper on the hacking of Internet companies and supported the legalization of some of the most atrocious activities of the NSA. This Senior Senator for California also heads the House Intelligence Committee.